Richie Sambora has finally revealed the winners of his Every Road Leads Home to You cover contest. There were also four runners-up. Congratulations to the winners! Which cover was your favourite? You can also check out other entries at this link. The third and final instalment of Modern Drummer's interview with Tico Torres is now up. Part 1 and Part 2 were posted earlier. In Part 3, Tico talks about his musical influences, his work with the Amazon Conservation Team, and "playing for the song". 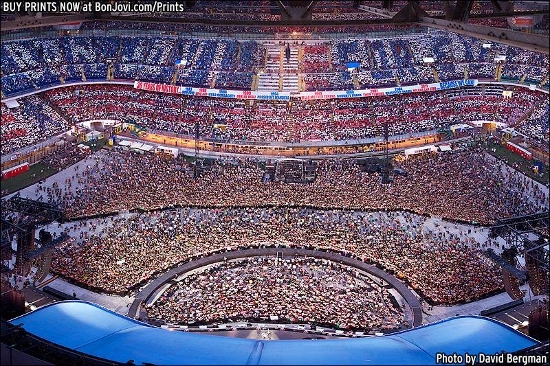 Bon Jovi's tour resumed in Chicago. Unlike the previous two legs, there was no official announcement ahead of this leg about the unavailability of Richie Sambora. Were you at the show? Labels: because we can tour, chicago, setlist, usa, where's richie? Well, it's Richie Sambora's 54th birthday so... Happy birthday, Rich. He's been sending more cryptic tweets lately. For those of you who need my artistic vision and soul.. Aftermath is a pretty accurate depiction of who I am..best work I'm my life..
Music is a relationship. I've tried my heart out to give you all that is inside me. All I can say is Aftermath is the path to know who I am. Meanwhile, Jon Bon Jovi will be a mentor on the upcoming series of The X Factor Australia alongside new judge Redfoo of LMFAO fame. 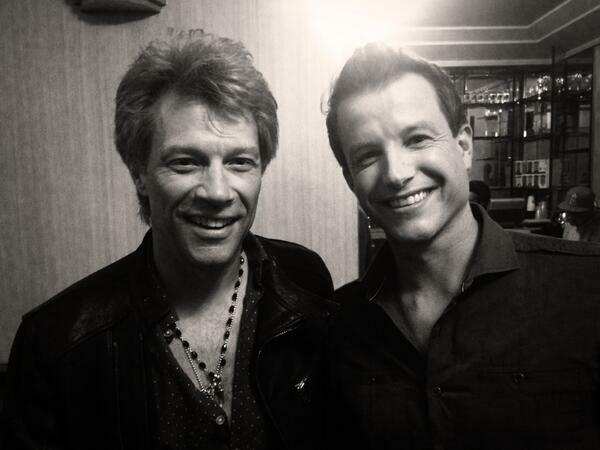 Host Luke Jacobz tweeted this photo of himself and Jon. Labels: jon bon jovi, richie sambora, the x factor, twitter, where's richie? Possibly the most interesting main set of the Bon Jovi tour so far (Recent shows have been pretty static until the encore). This show in Switzerland also included the tour premiere of Jon's Golden Globe-nominated song "Not Running Anymore". Were you at the concert?